The benefits of going green at work are many and extend beyond a reduced carbon footprint and saving money. Making green and reusable decisions at work can create a more productive workplace, set the tone for the company culture and help to instill in your staff your green goals and objectives in line with your CSR initiatives. Implementing reusable products into your workplace will bring your employees down a greener path. Here Are 5 Easy Ways Employees Can Work Greener By Going Reusable Today! Update Your Kitchen Gear – Instead of using disposable cups, plates and utensils make the switch to reusable items. You may need to remind staff not to let items pile up in the sink or to load and run the dishwasher from time to time, but your company will generate so much less trash and recyclables that would have otherwise gone into landfills. Up Your Recycling Game – Invest in some recycling bins, make sure they are clearly labeled and ask your staff to sort their trash accordingly. You can even take things a step further and when making purchasing decisions, buy items made from recycled materials whenever possible. The goal is to close the recycling loop by using as many products as possible that are made from recycled materials and then recycling as much as possible. Power Up with Rechargeable Batteries – Making the switch to rechargeable batteries will cost more initially and you’ll have to get into the habit of recharging them, but rechargeable batteries can last for years giving a great return on your investment. 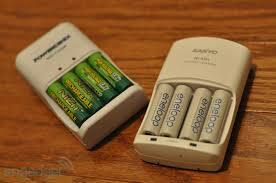 Remember to take your old batteries to the recycling facility when they no longer hold a charge in order to keep toxic chemicals out of landfills. Brew Coffee Using a Permanent Filter – One reusable coffee filter can eliminate the need for thousands of paper filters. Paper filters are seldom recycled and even less likely to be composted, so they take a toll on the environment. A major “perk” of having a permanent filter, is that you’ll never need to buy single-use paper filters again so you’ll save money in the long run. Additionally, you’ll never have to worry about remembering to buy more filters. Create a Custom Reusable Bag for Marketing and Promotion – A custom, reusable bag will get the word out about your brand for years but it will also eliminate the need for your customers and staff to use single-use plastic shopping bags. Opt for a bag made from recycled or sustainable materials for a marketing tool that is useful and eco. These are just 5 suggestions about incorporating reusable products into your day-to-day routines at work. Even making just one of these changes can have a major impact in terms of reducing trash and creating a greener work environment. Utilizing green and reusable items also sends a message to your staff, customers and vendors that you are serious about your green initiatives and you are committed to making sustainable choices. Do you have any tips you’d like to share about ways to go reusable at work? Please share in the comments! Next Next post: Want The Lowest Price on Reusable Wine Totes? How Do Consumers Really Feel About Bag Bans?